Wisdom of Life. 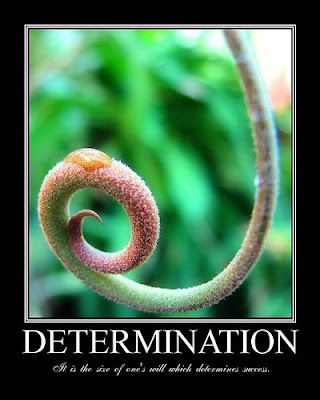 : Words inspire and create determination. Wan is my new personal driver. He is physically strong, aged 40, happily married and willing to work for me. During the first week while working, I understand he has been a smoker since when he was only 15. At one time, he was heavily smoking for 8 packets of cigarette a day. Now he has reduced to 4 packets which I considered as still high. Especially to a non smoker like me. During these two weeks of working along together, Wan was inspired by the way I worked. Although I was socialising and mixing freely with many people of all walks of life, I don't smoke and neither I need to drink to secure business. I earned my respect with a clean personality plus the heart to mix with people. I told Wan many times, smoking is a bad habit and definitely not good for health too. Almost half his income has gone to smoking, when he should be saving the extra for his family. I did not know Wan took my advices seriously, until he did not turn up to work a week ago. His wife told me her husband is very sick. He is shivering, high fever, pain all over the body, could not sleep and eat at the same time. He has decided to stop smoking completely. Without the nicotine from his regular cigarettes, Wan is losing his energy and instead he is going through the draw-out process. I spoke with him on the phone, when he sounded weak and lifeless. He is currently under heavy medication with much determination needed. I was certainly impressed with his strong desire to change. To give him the extra support, I told him that I will wait for him until he is fully recovered. The job is always his with another increment if he starts clean without smoking any more. Wan promised me he will, coz I was the one who had convinced him to stop smoking. Moral of the story. Words are powerful. They move mountains and challenge the unknown seas. As a faith healer myself, I managed to change his bad habit and gave him determination to win in lives. A meaningful phrase I collected from one of my constant blog reader and admirer, Young Kat; "No beauty is like the beauty of a loving heart & A strong will is all powerful." I had done my part to help him and you had done yours to inspire me. Thank you so much with your compliments. How's Wan getting on? May God bless him with a speedy recovery! Love has got miracle. With encouragement and sincere attention, Wan is back working with me again. He has stopped smoking entirely. Thanks for your concern.